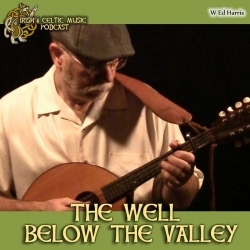 Let's open up the valley to Celtic music from Anthea Lawrence, Bonnie Rideout, The Rowan Tree, The Flying Toads, The Ennis Sisters, Gaelic Fury Band, Old Man Flanagan's Ghost, Tartanic, Vicki Swan & Jonny Dyer, Madman's Window, The Grenaways, Clover's Revenge, Sliotar, Stout Pounders, W Ed Harris. Listen and share this podcast. Subscribe to the Celtic Music Magazine. Download 34 Celtic MP3s for Free. This is our free newsletter and your guide to the latest Celtic music and podcast news. 38:20 "Blarney Roses" by Madman's Window from Avast! Our Top Irish & Celtic Music Spotify playlist is newly updated with many of your favorite songs from recent shows. You can follow the link in the shownotes to follow that playlist and find other Celtic music playlists we recommend. If you love this podcast, why not share your love. Get an Irish & Celtic Music Podcast sticker. We have two that you can choose from to let the world know you love Celtic music. Order yours at BestCelticMusic.net. Special thanks to our newest Patrons: Thomas Burns, Michael Conners, Darby O'Flannery, Thomas Jordan, Eduardo Gossweiler. And a special thanks to Don Brusselars who raised his pledge. Patrick Reese emailed: "I love the show, I first started listening while riding the bus and my bike to get to school (2 and a half hours) so thanks for making it a fun trip because it was boring without the music. I was able to download the music just fine, but I am just listening to all the podcasts via the YouTube playlist. Thank you for doing this :)"
Dawn emailed about the instrumental show: "Love this show!!! Took time out from chores to fiddle along with it! And... I just put your sticker on my Mandolin case. Thanks as always for all you do." Dwayne Butcher emailed: "First off, thank you so much for all of the amazing and tireless work you do putting together each of the podcast episodes. I really appreciate this weeks instrumental episode, Instrumental Celtic Music Study Aid #347. I am under a super-tight deadline to write and design the 2014-2018 Strategic Plan Summary Report for my work at the University of Tennessee Health Science Center. By far my favorite episode to date, it has gotten me through this rainy Sunday typing and laying out the publication. I do have to admit, the pints help as well!! Keep up the great work!" 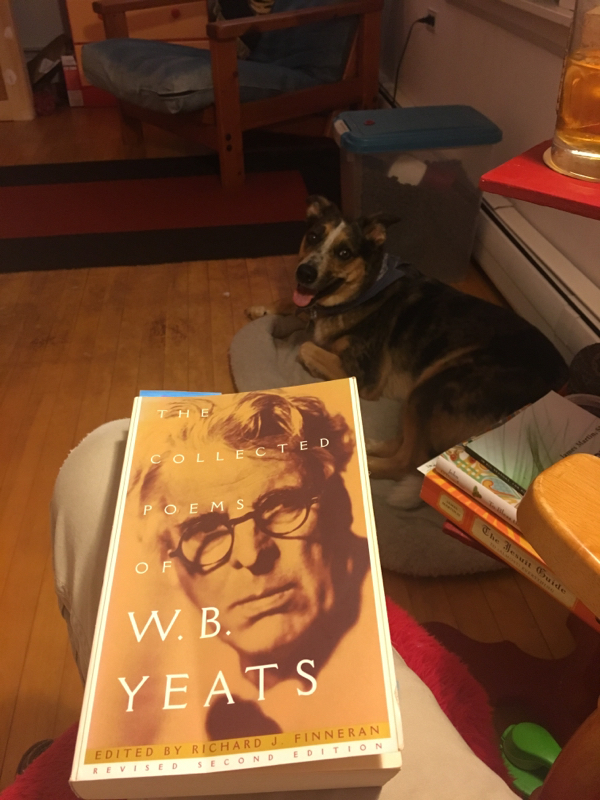 Charlie Hunt emailed a photo: "Your podcast is keeping me and my dog company while I read some classic Irish poetry of William Butler Yeats (with yes, some Jameson in the top right corner). Thanks for the show!" 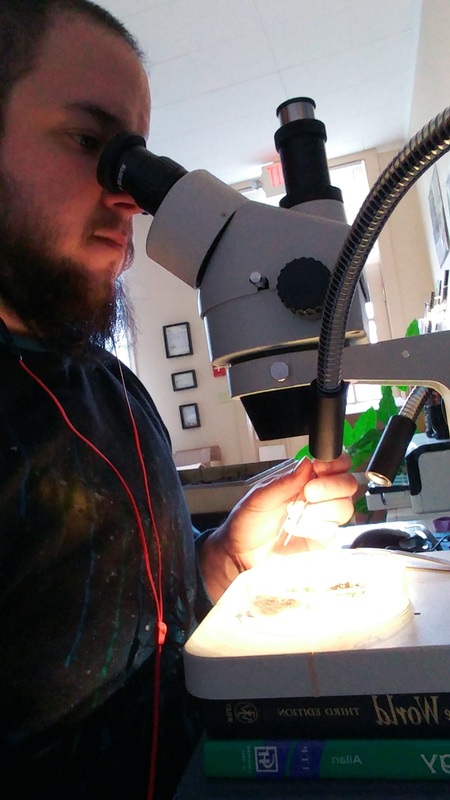 F. Ryan O'Donnell emailed a photo: "I am counting macroinvertebrates (bugs) to assess water quality in rivers. I listen when I need an afternoon pick-me-up from the monotony!"